The new Criminal Minds spinoff "Criminal Minds: Beyond Borders" premieres tonight on CBS. Gary Sinise (CSI: NY) and Alana de la Garza (Forever) lead Criminal Minds: Beyond Borders, the new Criminal Minds spinoff that premieres at 10PM ET/PT TONIGHT on CBS. CBS describes the show as being about the specialized International Division of the FBI tasked with solving crimes and coming to the rescue of Americans who find themselves in danger while abroad. Heading the International Response Unit is Unit Chief Jack Garrett, a seasoned 20-year veteran of the Bureau. The team he trusts with his life includes Clara Seger, a smart, well-traveled and multi-lingual cultural anthropologist, Matthew Simmons, a former military hero with split-second profiling skills he honed on the battlefield, Russ “Monty” Montgomery, the unit’s compassionate, brilliant tech analyst who additionally liaises stateside with the families of those in trouble while his group is far from home, and Mae Jarvis, the team’s fearless and fun medical examiner. These exceptional agents are dedicated to safely returning U.S. residents home by profiling and identifying criminals who are beyond our borders. How might this spinoff work when the previous Criminal Minds offshoot Suspect Behavior didn’t? “It’s always tricky when you have a show that is franchisable,” Executive Producer Mark Gordon said earlier this year at the CBS portion of the TCA Winter Press Tour. “Criminal Minds was that show, and we were obviously very excited about the idea when we created Suspect Behavior to take advantage of it. Like any show, whether you’re a new show or whether you’re a spinoff, it doesn’t always work, and I think that, quite honestly, one of the things that did not help us with the audience with Suspect Behavior was that we were trying too hard to be different, and I think that when you are creating a spinoff, you want something that’s fresh and different, but at the same time you want to honor the show that you’re spinning off from,” he continued. “Frankly, I think that sometimes the desire to have an opportunity to create more is not always the best way to create a great show. It took many years between Suspect Behavior and Beyond Borders, and I think the reason it took that time was that we wanted to find something that was really organic, that felt that it was not just taking an opportunity,” he explained. 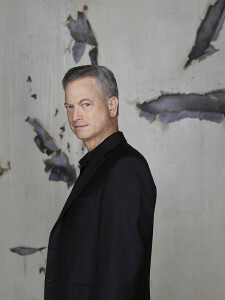 “It was, frankly, taking the right opportunity to create the right show that was organic and would be correctly in the Criminal Minds family but had its own identity, and it took many years of Erica [Messer] and I and a number of people discussing what we should do, and then Erica came up with this idea, and it felt like we have it. And here we are,” he said. Will the show succeed? Tune in at 10PM tonight on CBS to find out! Below, find a trailer.